Bluetooth speaker works with most Bluetooth enabled devices, Bluetooth transmission distance is up to 10 meters. With FM radio function, support FM frequency tuning. 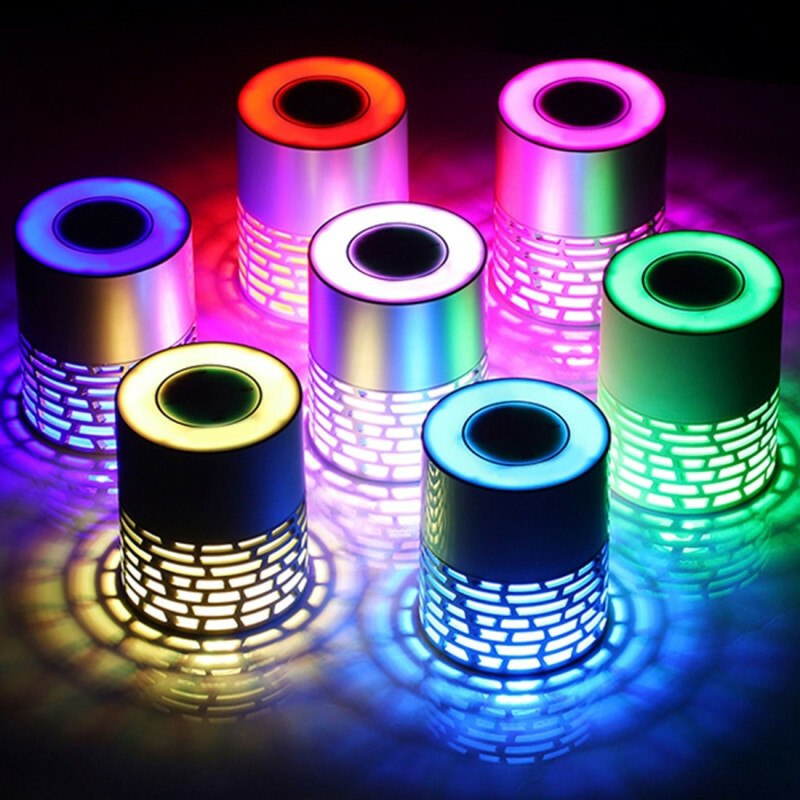 Brilliant lighting design has a unique multi-color, look more beautiful. Built-in microphone, support hands-free cell phone voice calls (support iOS and Android system cell phones). AUX input supported, connect to computer, tablet, mobile phone etc. With 3.5mm audio cable.